Recently, the United States has been bombarded with tragedy after tragedy — hurricanes, wildfires, earthquakes, etc. Often many will blame God declaring it was “an act of God,” yet, this is more of rationalizing the problem of worldly sin and the consequences thereof. The statement is not all untrue, for God is sovereign and allows the storms of life to occur for a reason. In Houston during the recovery and assistance operation, many came together and helped those who were devastated by the Hurricane Harvey. Paul told the church of Colossae that Jesus was the image of the invisible God. Isaiah looked into the future by the Spirit and foretold that a virgin would bare a son called Emanuel, being interpreted, God with us. Lately, people have been asking me about the eclipse and now the situation with North Korea. It seems whenever strange or crisis events are predicted, people become nervous. Of course, it’s only natural to wonder what is going to happen and I am reminded of the famous Y2K scare that was a huge topic in 1999. Recently, I met a woman who had moved to the area to stay with family after a painful divorce and some health problems on top of that. She had lost everything and was starting over. “I’m too old for this,” she said, although she didn’t divulge her age. She looked to be maybe 40, which isn’t old, but when you’ve lost everything and you’re starting over in a place you really, really, really don’t want to be but feel you have no choice and nowhere else to go, any age is too old, I suppose. Deception, according to the Merriam-Webster Dictionary online, is “the act of making someone believe in something that is not true.” Today, deception is so often promoted by mankind, often for a selfish motive. So often we hear of people being deceived into buying a certain product or service to find out that product or service does not meet the expectation of the company or person selling the product. Deception is often a lie, a con, a shame and yes, dishonesty. I have been privileged to sit under many great speakers and teachers in my life. Human behavior and spirituality has always been fascinating to me and it’s an honor to be involved with the work of the ministry. Years ago, I knew a special lady that enjoyed a full life of adventure and was used as a blessing to many. Included within her life of success and respect unfortunately there was also a great deal of tragedy and disappointment. It’s not that this is rare or unusual, but it was how well she responded when things went sour. As members of Dry Ridge Baptist Church reflect on a Christian history that has spanned 200 years, they are excited about the church’s future. On July 22, the fellowship hall was filled with chatter as members carried in covered dishes, layer cakes and pies. 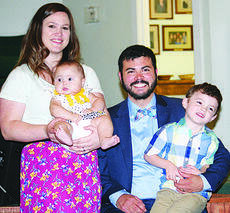 It was a meet-and-greet fellowship with Brandon Burks, his wife Traci and their children, 3-year-old Haddon and 6-month-old Noël. Burks preached a trial sermon the next day and the church voted overwhelmingly to call him as a full-time pastor. 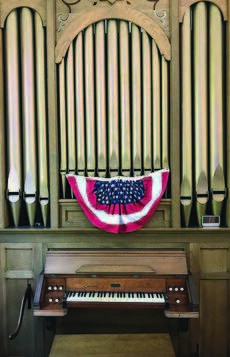 Dry Ridge Presbyterian will host the “Patriotism in Story and Music” concert as part of the 226th anniversary of the first congregation organized in Grant County, that is now Dry Ridge Presbyterian Church. The concert will be held at 2 p.m. Sunday, Aug. 6 at Dry Ridge Presbyterian Church, located at 15 Warsaw Avenue in Dry Ridge.